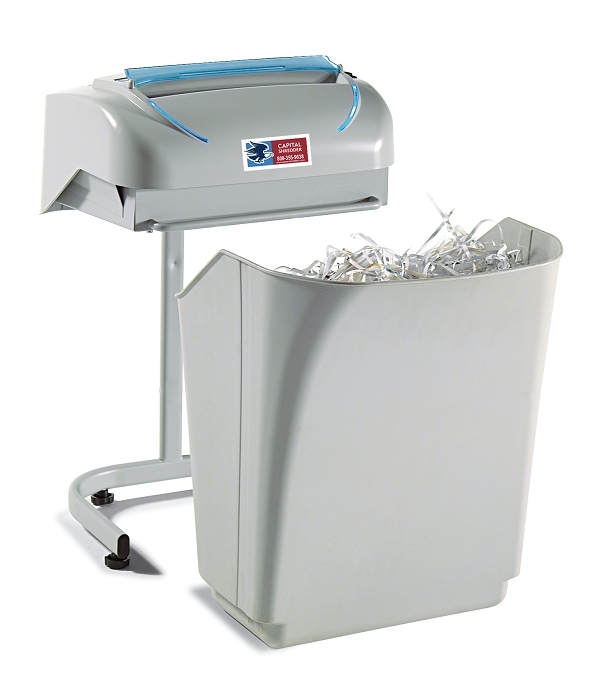 An economically priced deskside cross cut shredder featuring auto start/stop operation, standby and bin full status signals. Continuous duty motor and heavy-duty chain drive. 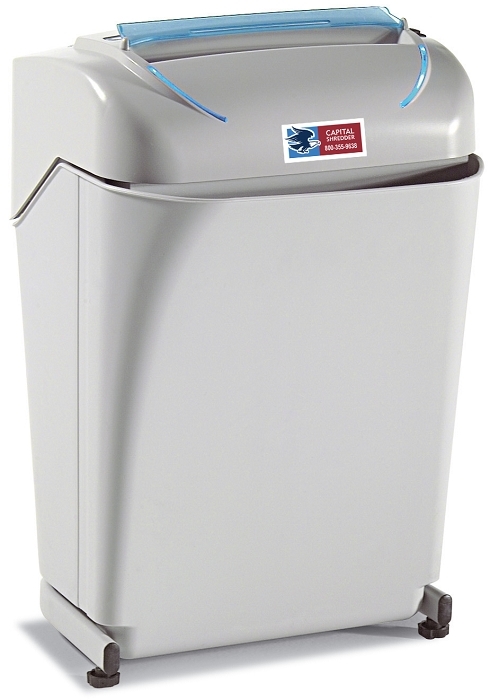 Convenient removable waste bin does not require plastic bags.